Learning how to make apple butter doesn't need to be difficult. With the right ingredients and tools, you can learn how to make apple butter for your whole family to enjoy. Apple butter is really just highly concentrated apple sauce that can be used as a jam-like spread. Because it is so concentrated, it has a delicious apple flavor. You can customize it to your personal tastes by adding spices like cinnamon and nutmeg. You can also make it sugar-free, with regular sugar or using a sugar substitute. You can even add flavoring such as maple to make your apple butter really special. Making apple butter can be an all day project. There are a number of components to consider when deciding how to make apple butter. Cook in the crock pot for six to seven hours. Apple butter starts with applesauce. You can use either pre-purchased apple sauce or make your own. Making your own applesauce will typically yield better tasting results. If you make your own, choose a combination of sweet and tart apples. 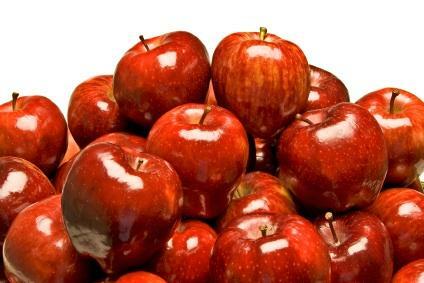 Granny Smith apples are a good tart apple, while Pink Lady or Gala apples are a good choice for a sweeter apple. You can even use a combination of three to four different apples to really enhance the flavor. Stem, core and slice equal amounts of sweet and tart apples (about four to six pounds total). Place the apples in a large pot with about one inch of water or apple cider. Put the pan on a stove and boil the apples for about 20 minutes, until the apples are tender. Remove the apples from heat and pur&eacute;e them using either a food mill or a blender. If you are using a blender with hot apples, be very careful to allow the steam to escape every few moments by protecting your hand with a towel and lifting the lid. After making the applesauce, you will need to add some kind of sweetener. You can use sugar, honey, an artificial sweetener that can withstand heating such as sucralose, brown sugar for a richer flavor, or even Stevia, which is a natural sweetener. Use about four cups of sugar (or the equivalent for other types of sweeteners) for four to six pounds of apples and add the sugar to the apples after they have been made into sauce. Because apple butter takes many hours of cooking, it is easiest to cook in a crock pot. With a crock pot, you can set it on a low setting and leave it. You won't need to continuously check it as you would if the apple butter was cooking on a stove top. To cook the apple butter in a crock pot, add your applesauce, sugar and spices to the crock pot and mix them well. Set the crock pot on high and allow it to cook for six to seven hours, stirring occasionally. The apple butter will thicken substantially during that cooking time. Begin checking your apple butter at about five hours, and check it regularly until the apple butter reaches a spreadable thickness. You can either preserve your apple butter in canning jars using an established canning method or pour it into small jars for immediate use and to give as gifts. If you have not canned the apple butter, it needs to be refrigerated and should be used within a week. The apple butter you make at home will be far more flavorful than anything you can purchase in a store. If you've got a day to spare, give the process a try. You'll be glad that you did.